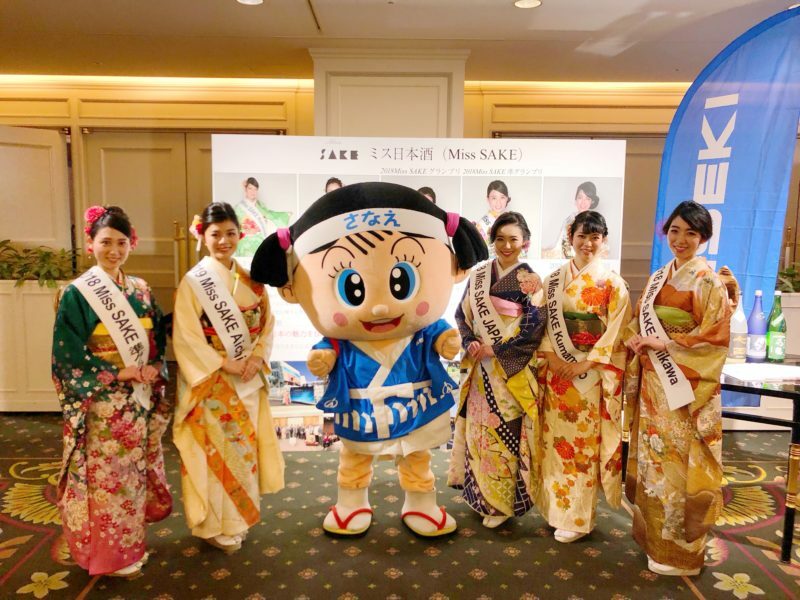 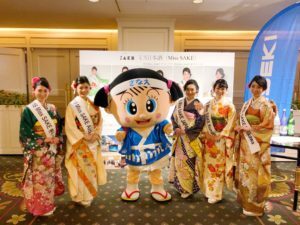 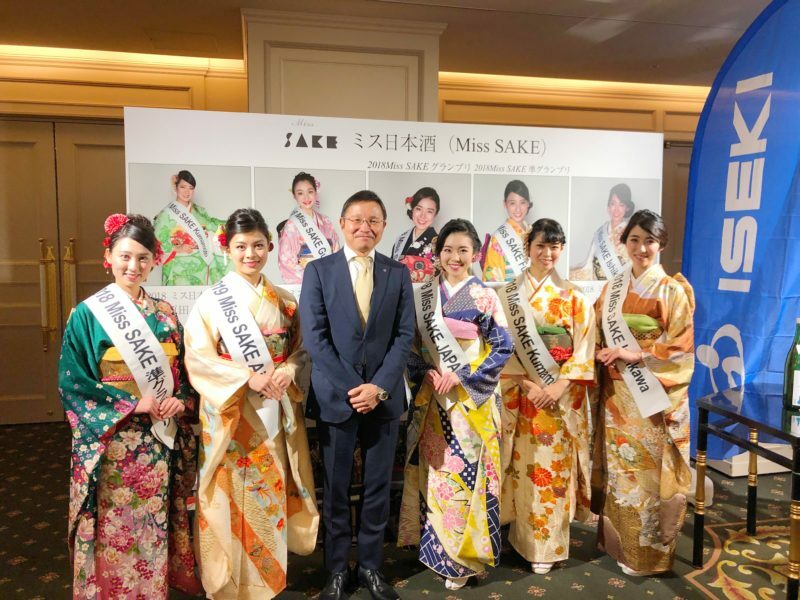 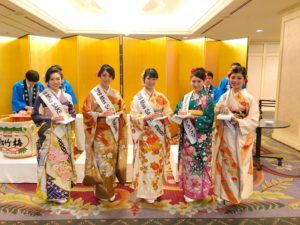 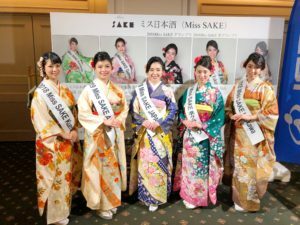 1 the Annual Awarding Ceremony of ISEKI&Co., Ltd.
the Annual Awarding Ceremony of ISEKI&Co., Ltd.
On January 16th, I attended the annual awarding ceremony of ISEKI&Co., Ltd. at GRAND NIKKO TOKYO DAIBA with Miss Masayo Horii, 2018 Miss SAKE runner-up, Miss Mina Owari, 2018 Miss SAKE Ishikawa, Miss Hikari Harada, 2018 Miss SAKE Kumamoto and Miss Kaho Toyoda, 2019 Miss SAKE Aichi. 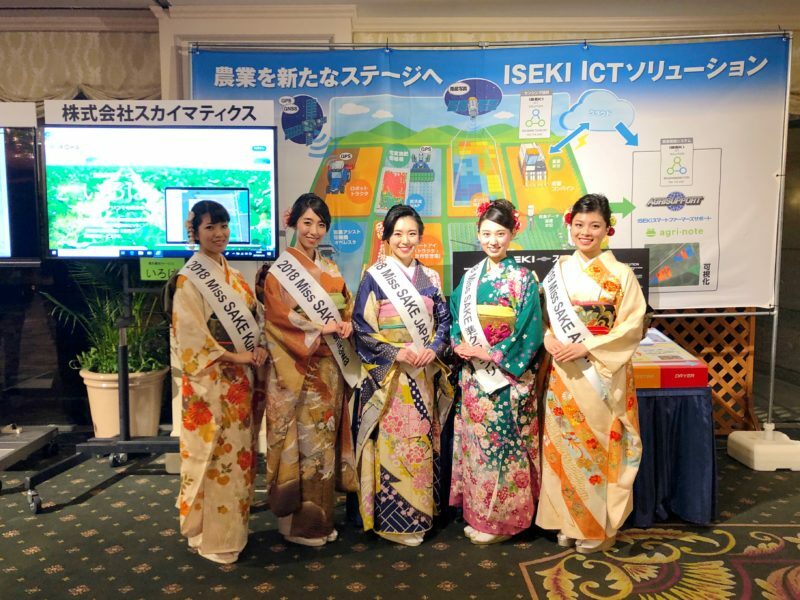 ISEKI&Co., Ltd. is one of the leading agricultural machinery manufacturing companies in Japan. 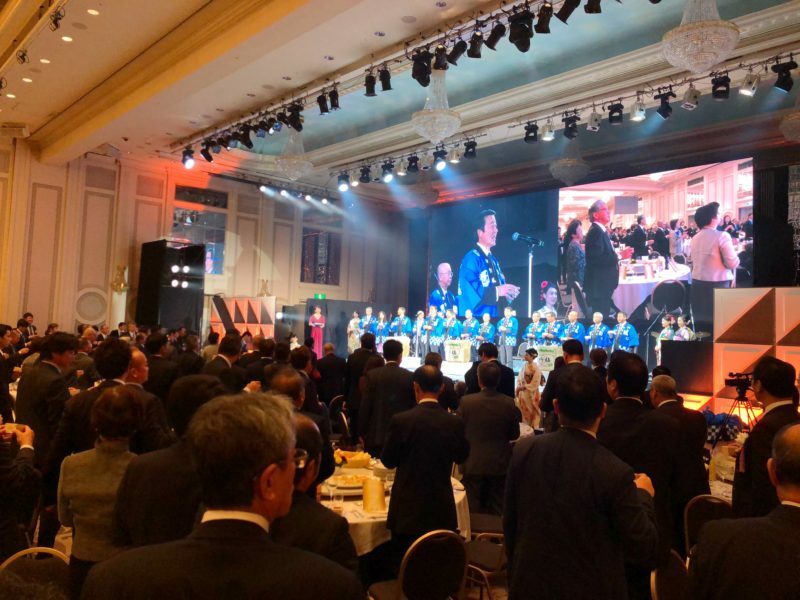 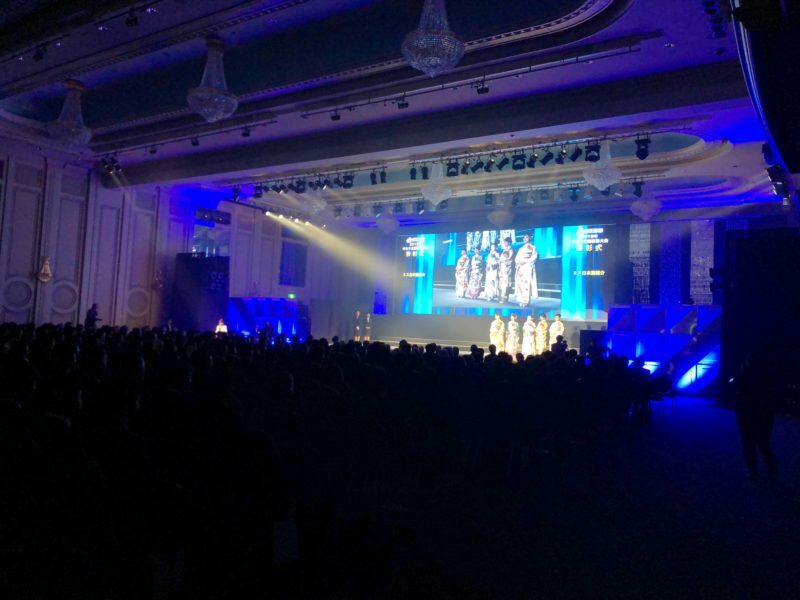 At the annual awarding ceremony of ISEKI&Co., Ltd., they award the employees and the partner companies throughout Japan with highly outstanding achievements. 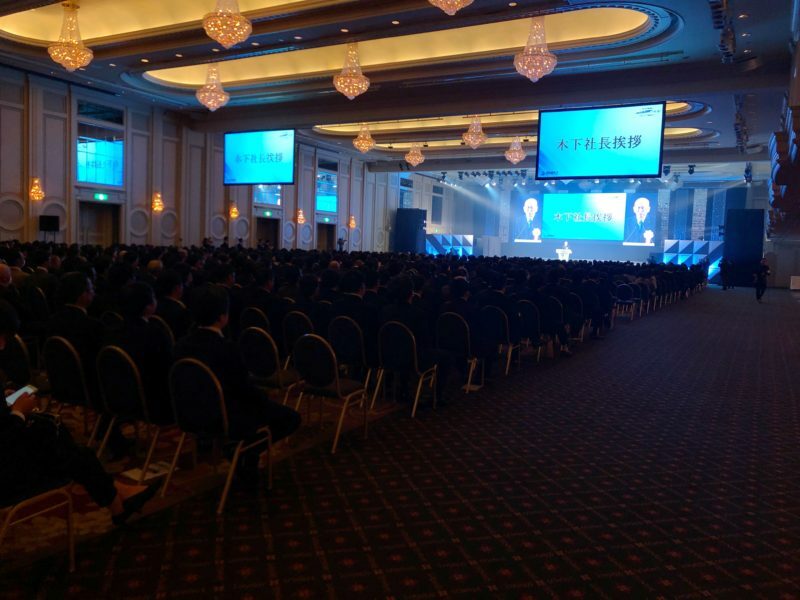 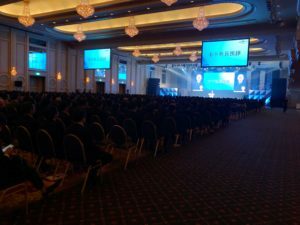 This year, about 1000 ISEKI Group members attended the ceremony. 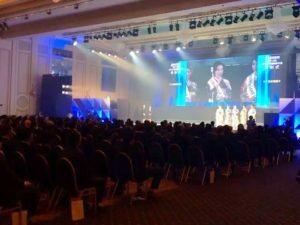 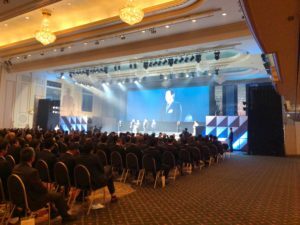 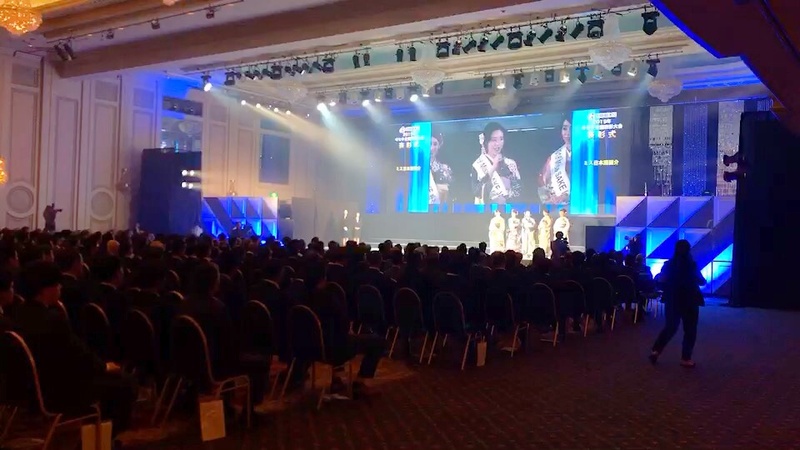 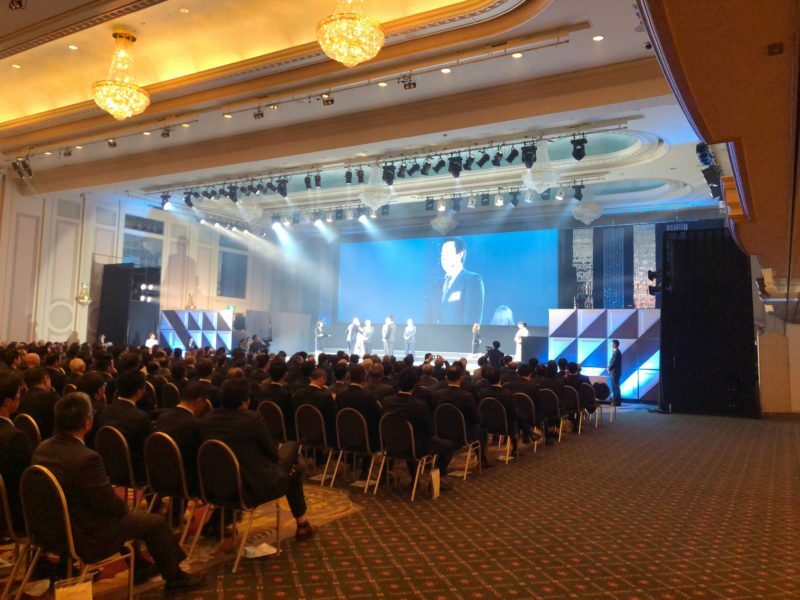 At the opening, Mr. Eiichiro Kinoshita, the President of ISEKI&Co., Ltd., and Mr. Yukio Nawata, the Board Member and Managing Executive Officer made speeches on the achievements of ISEKI&Co.in 2018 and their prospects from this year on. 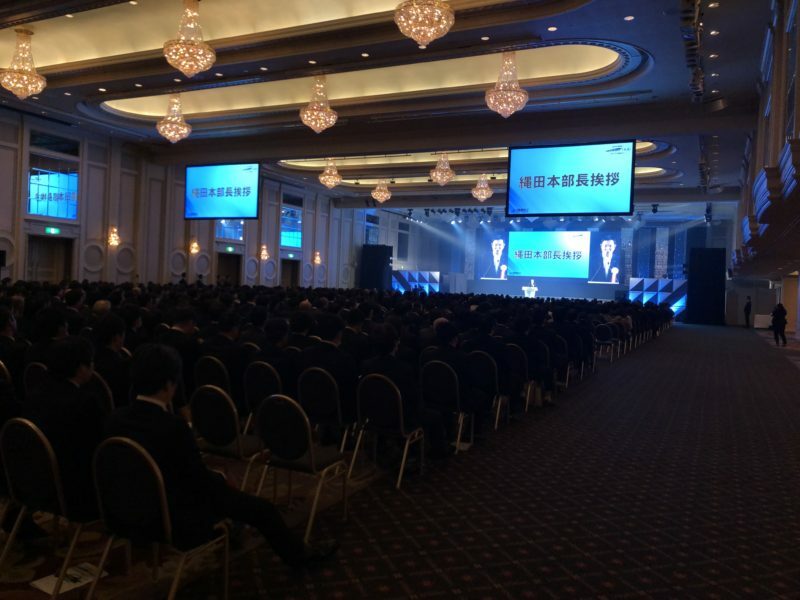 And it was an honor for us to make a speech on the stage, too. 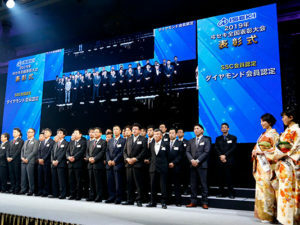 After the speeches, the award ceremony of more than 20 sections was performed. 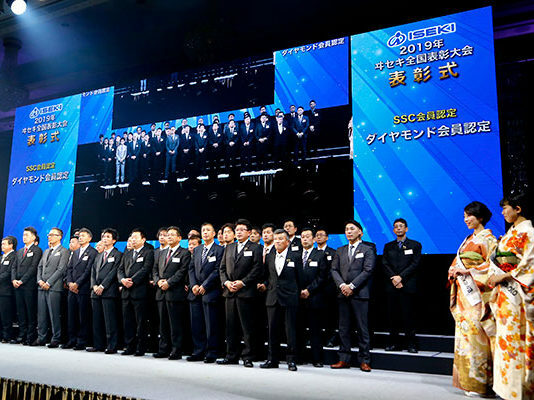 We welcomed the award winners on the stage and served as assistants of the certificate presenters. 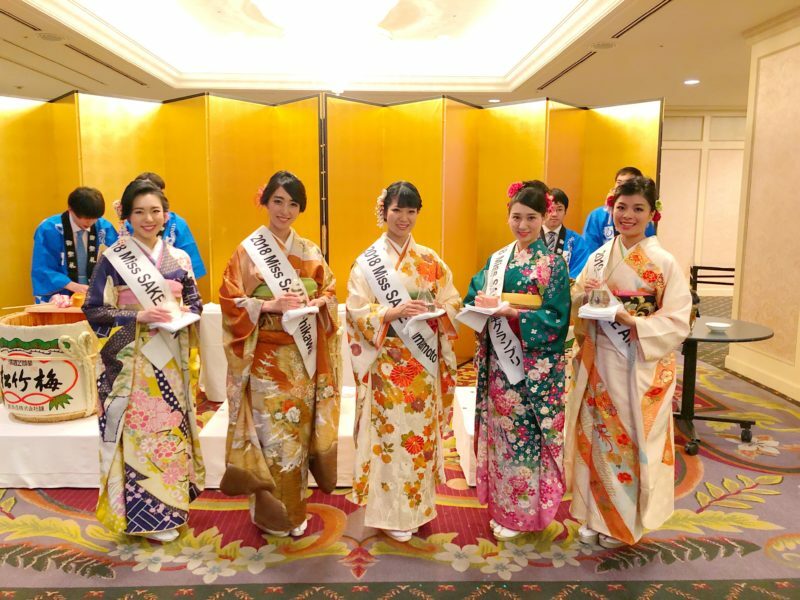 Once again, we offer the winners our congratulations and wish them continued success. 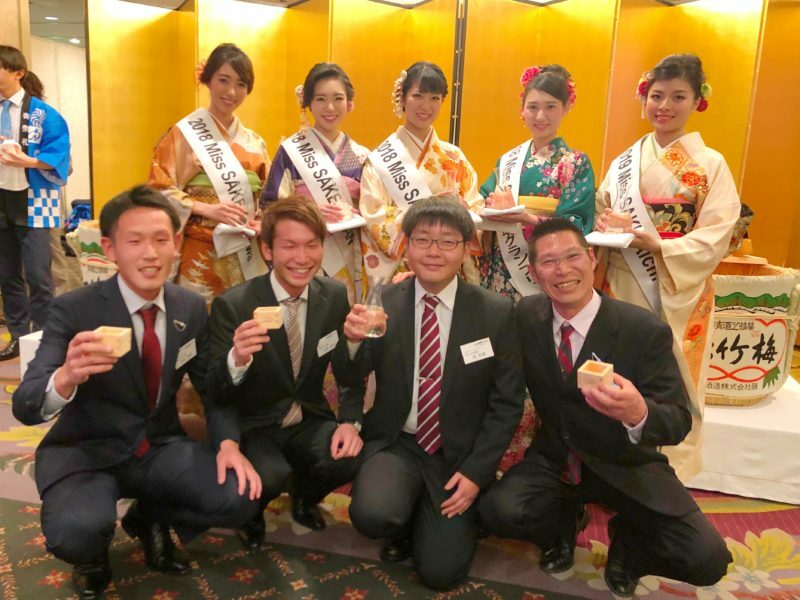 Following the ceremony, we joined the social gathering of the participants. 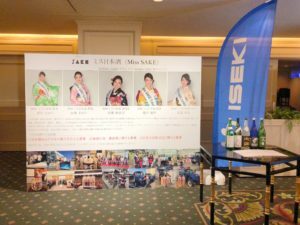 At the venue, we helped Kagami-Biraki performance and served the SAKE to the guests. 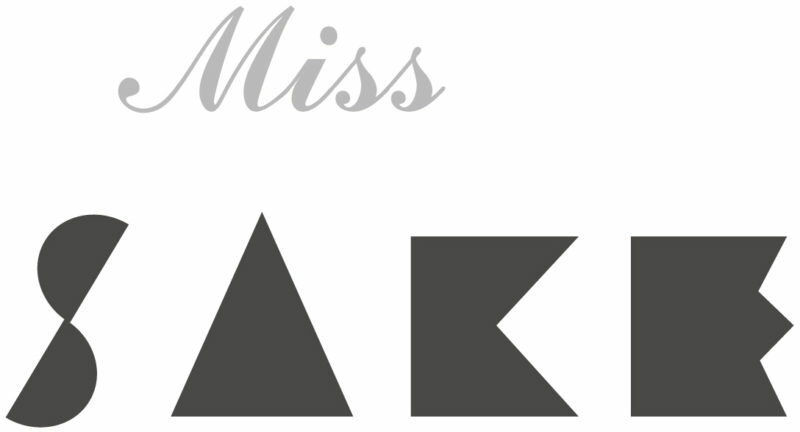 And outside the venue, a special panel of Miss SAKE was prepared for the day, so we introduced our activities to many guests at the booth. We were glad to have lots of words of encouragement to our activities. 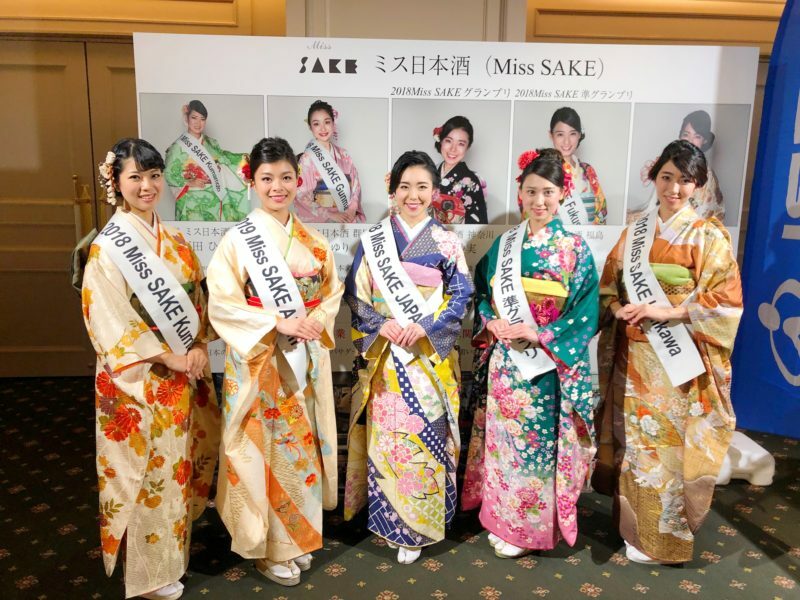 As Miss SAKEs, we have joined some agricultural events such as rice planting and harvesting, too, to deepen our understanding of nature and agriculture. So, it was a great honor for us to join such a special event of ISEKI&Co., Ltd., which have supported and will support Japanese agriculture. 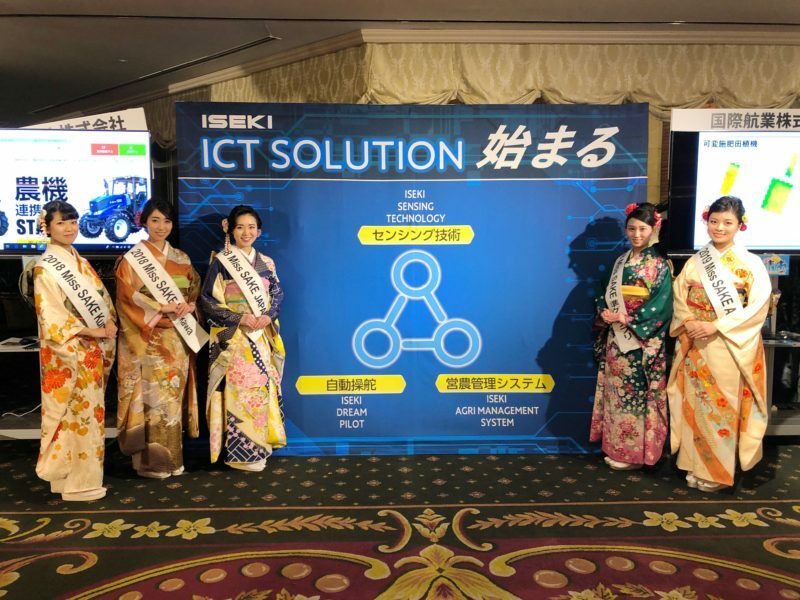 We extend our deep appreciation to Mr. Kinoshita, the President of ISEKI&Co., Ltd., and Mr. Nawata, the Managing Executive Officer, and all the people involved.